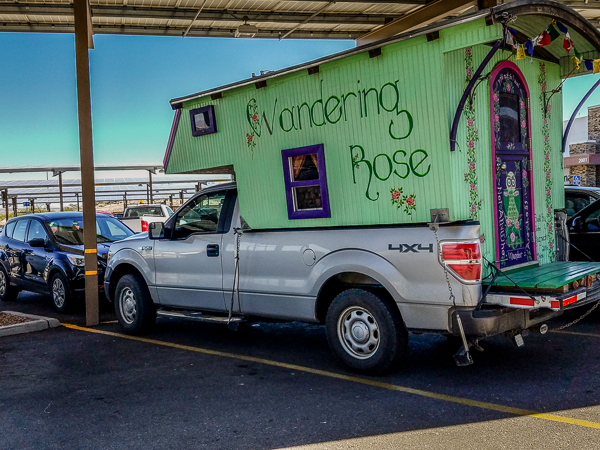 Truth or Consequences, NM (formerly Hot Springs) is delightfully not a tourist trap. No high priced fancy stuff here to lure visitors off I-25, just friendly folks and good value. Even though the town name was changed years ago, there are still plenty of soothing hot springs here. The promise of a muscle warming soak is what entices me to visit. 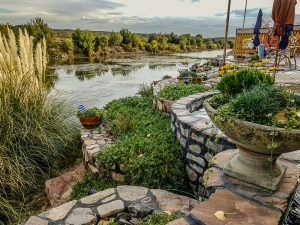 Our volunteer friends at Balloon Fiesta urge us to visit Riverbend Hot Springs and after one relaxing immersion I am hooked. 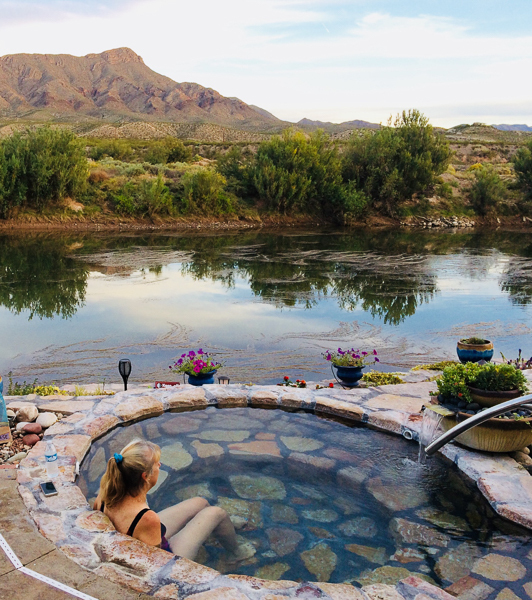 Both the private and public pools at this resort have stunning views of Turtleback Mountain over the Rio Grande river. Even better, the prices are half those of the springs we considered visiting north of Albuquerque. Reasonable pricing and accommodating service appear to be the standard here in Truth or Consequences. But bring cash if you visit because the internet does not always work in T or C. When it fails credit cards are worthless. While in town we breakfast with our resident nonagenarian friend Norman. Norman has just returned from a New Mexico Honor Flight for veterans to Washington, DC. He is exuberant about this trip. As we compare DC travel notes, he agrees with me that the Korean Memorial is the most incredible of the war memorials there though he also is impressed by the FDR Memorial. On the suggestion of Ruth Ann at Albuquerque, Matt, Sherry, Storm and I follow 70 miles of twisty road to the ghost town of Chloride. 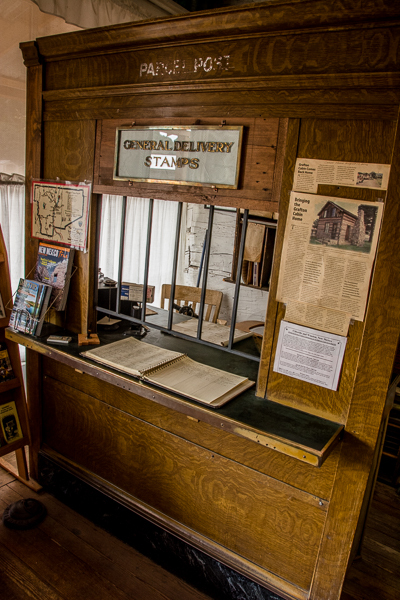 Just as Ruth Ann promised, the lady who lives in Chloride greets us as we park and guides us through the exhibits. 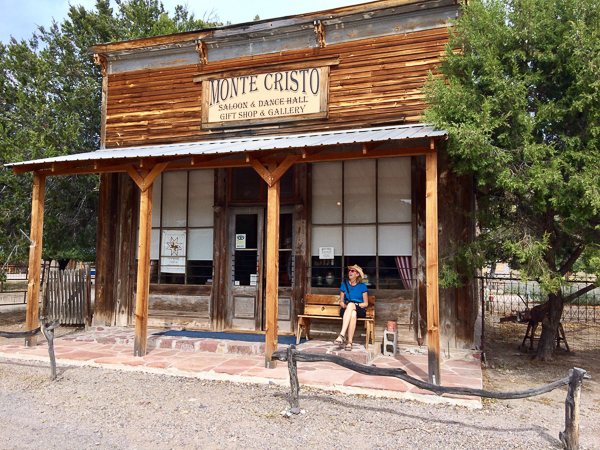 She paints a knowledgeable and vivid picture of this old silver mining town as it would have been when surrounded by active mines and filled with rambunctious miners.